When the Crystal Cadets got split up at the end of the previous issue, they find themselves in a hidden underwater cave. They soon discover that being lost is the least of their worries. What secrets will they find in the deep? 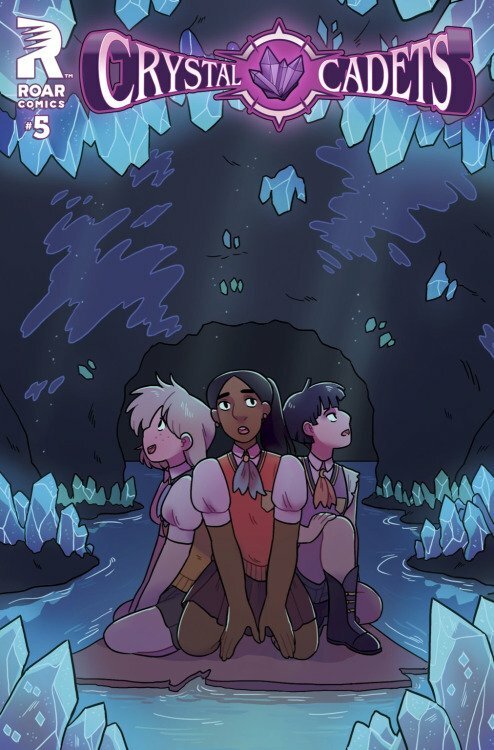 Download issue 5 of Crystal Cadets and find out! You can also check out an extended preview on the Lion Forge Tumblr here. And there’s a sparkly version, too, because, hey, sparkles. In case you missed it, Crystal Cadets was also featured in a Bustle feature on upcoming lady creators in comics, including Raina Telgemeier, Roz Chast, and Fiona Staples. Check it out.